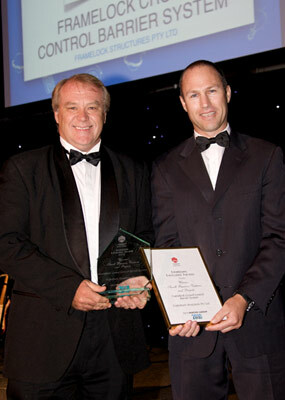 We're proud to announce we are the proud winners of the 2010 Engineering Excellence Awards - Northern Division for "Small Business Ventures & Projects". 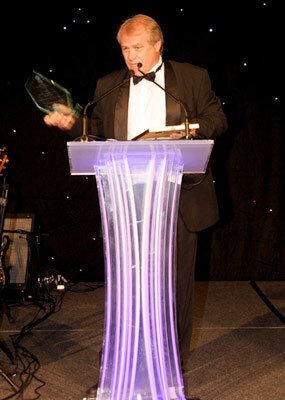 Colin West, Director & General Manager of Framelock Crowd Control Barrier System accepting the 2010 Engineering Excellence Awards. 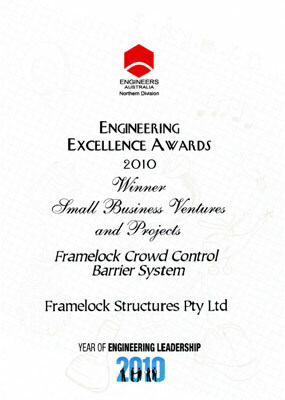 Certificate : 2010 Engineering Excellence Awards.